For many expectant parents, the first opportunity to “meet” their baby comes at 20-weeks of pregnancy. The ultrasound scan performed at that time gives the parents a sense of the health of the growing fetus. The images produced in this important exam reveal the shape and structure of the head and brain, which are of particular interest because severe brain problems may become visible at this stage in the pregnancy. As the brain develops, maternal-fetal specialists keep a close eye on the cerebellum – the part of the brain that coordinates and regulates muscular activity. A healthy cerebellum can typically rule out fetal complications, such as spina bifida – a neural tube defect in which the spinal cord fails to properly develop. However, measuring the fetal brain is not an easy task and requires a significant amount of manual input from the sonographer. Today, an artificial intelligence (AI) powered tool can make this process much easier. 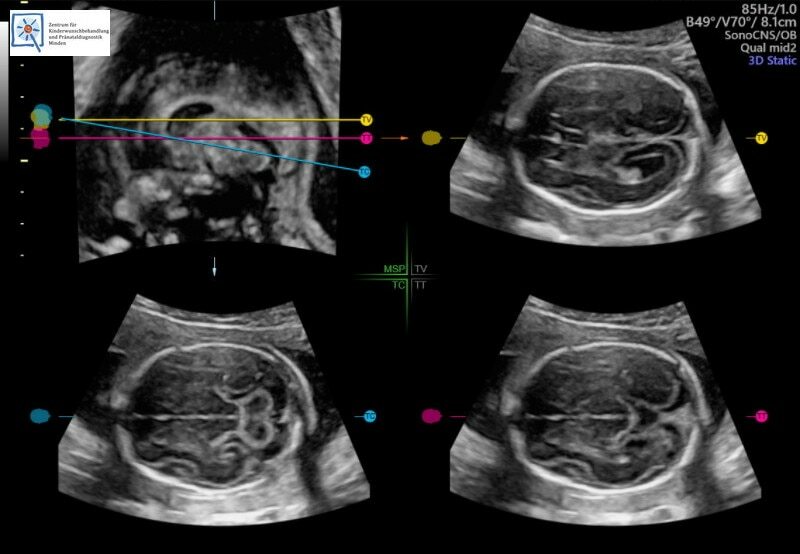 Dr. Ralf Menkhaus, a fetal medicine specialist in Minden, Germany, has been using the GE Healthcare Voluson E10 ultrasound system for several years. Within the last few months, he has taken advantage of a new tool called SonoCNS, which automates the process of measuring the fetal brain. SonoCNS can, in fact, help reduce keystrokes by more than 75 percent, allowing the clinician to move their attention from the machine to the patient. 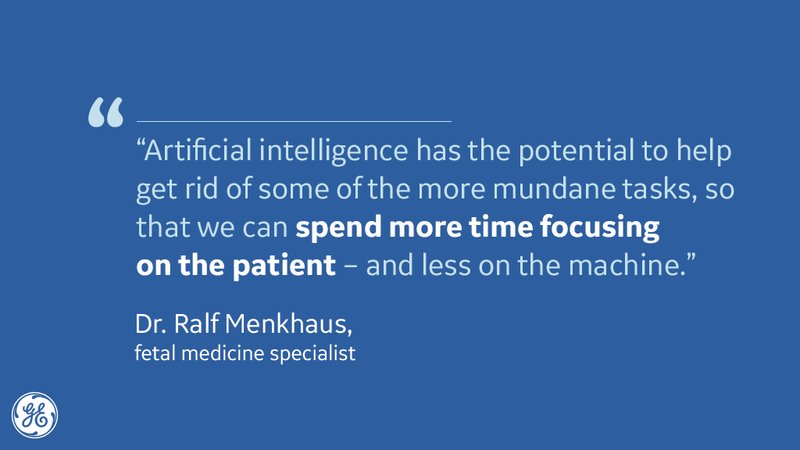 By harnessing the power of AI, the medical team can detect complications early and work with the family on potential interventions, which could lead to a better outcome for the patient.